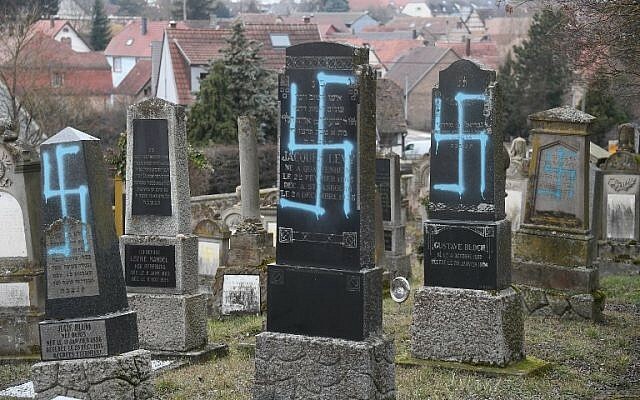 STRASBOURG, France — Around 80 graves have been daubed with swastikas at a Jewish cemetery in eastern France, local officials said, hours ahead of nationwide marches on Tuesday against a rise in anti-Semitic attacks. 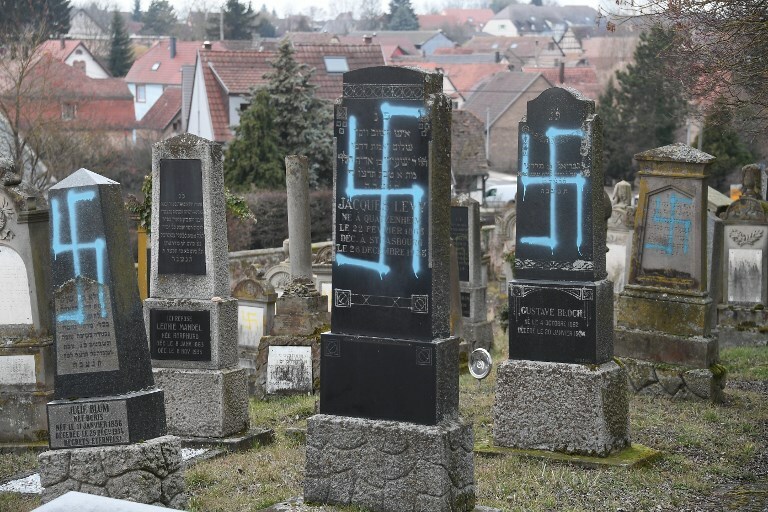 Photos show the Nazi symbols in blue paint spray-painted on the damaged graves, one of which bears the words “Elsassisches Schwarzen Wolfe” (“Black Alsacian Wolves), a separatist group with links to neo-Nazis in the 1970s. 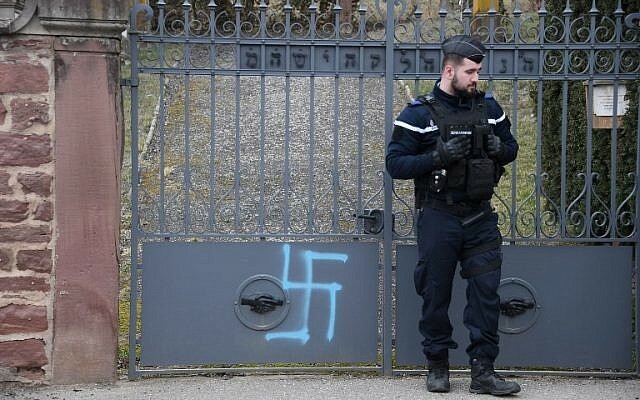 The top security official for the region, Jean-Luc Marx, condemned “in the strongest possible terms this awful anti-Semitic act and sends his complete support to the Jewish community which has been targeted again,” the statement added. 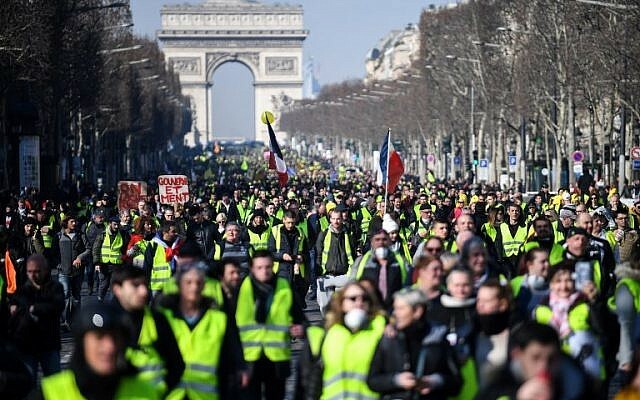 Mass rallies are planned in Paris and other French cities Tuesday to denounce a flare-up of anti-Semitic acts which culminated in a violent tirade against a prominent writer during “yellow vest” anti-government protests last weekend. “It just doesn’t stop, it’s shock after shock,” Maurice Dahan, the regional head of France’s main Jewish institution, the Israelite Central Consistory of France, told AFP after the attack in Alsace.